Two high-profile duos active in Dutch jazz: Anton Goudsmit / Oene van Geel and Mete Erker / Jeroen van Vliet. 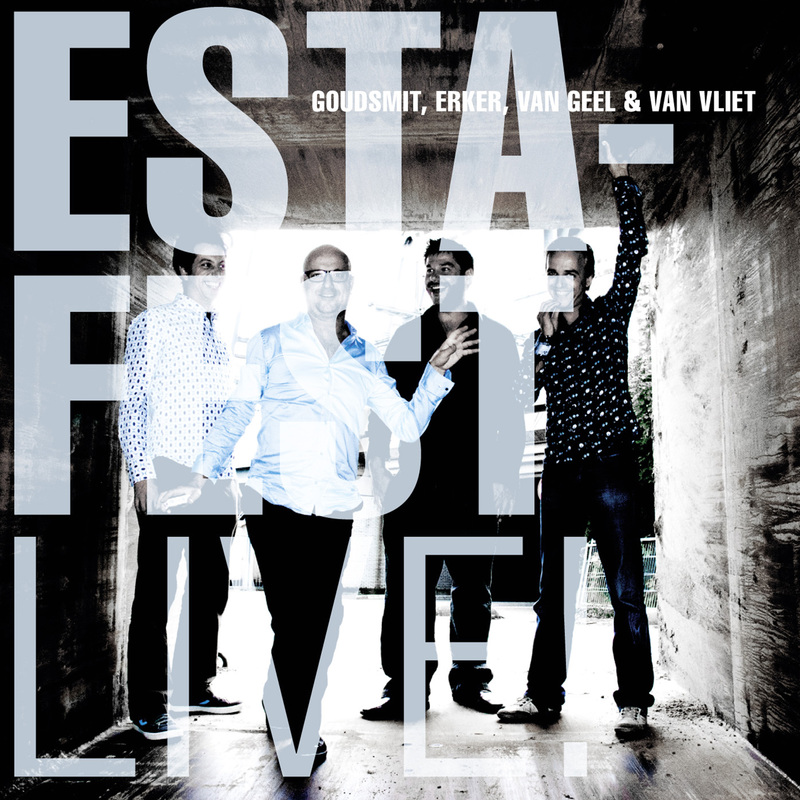 They have combined forces and play in various combinations (duo, solo, trio, quartet): EstaFest. Four unique improvisors, each a match for the other, getting the very best out of each other. Music at the cutting edge, taking new directions ‘à la moment’. Each contributing their own brilliant, short pieces without predetermined sequence or combination. Audience and players are swept away by the power of the moment. The musical result is exciting, magnificent, hilarious and breathtaking. "Cunning, exuberance and rhythmic games are Van Geels trademark." "According to the jury of the VPRO Boy Edgar Award, Oene van Geel distinguishes "with a superior swing, an enormous ability to improvise, a thorough knowledge of the history of jazz and a permanent curiosity to different genres, whereby he sets an example in the crossover world on an atypical manner. " "Those present seemed to realize that we had witnessed a five-star concert with four star musicians without attitude! " ""Maddening, how everyone always comes up with new elements and it does never collapse for even a minute." "An artisanal adventure where musicians and listeners do not get a chance to take things for granted "